I couldn’t help but be impressed by the clever title of this book. I judged it initially by its cover, and it mostly did not disappoint. 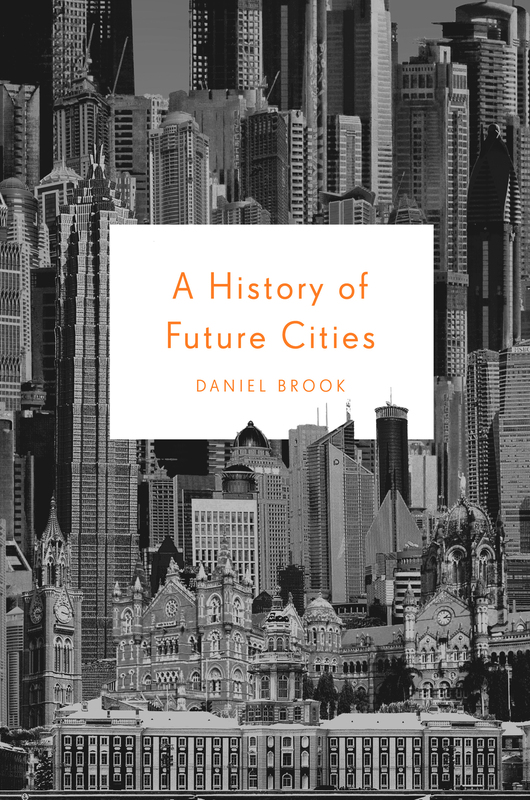 Author Daniel Brook looks at four different cities, St. Petersburg, Shanghai, Mumbai (Bombay), and Dubai. Though they span a few centuries each city has some core traits in common with the other. Each city arose directly from either contact with foreign populations (Shanghai, Mumbai), or was specifically designed to open the world to the world at large (St. Petersburg, Dubai). Because of this, each city has a somewhat artificial character. Neither can claim to be created from within history. Rather, they stand as attempts to impose history on the country itself. Each city has a distinct cosmopolitan flair (Arabs in Dubai, for example, comprise only about 10% of the population, depending on how you measure), and a somewhat freewheeling ethos. The title hints at a number of themes for this book. While I don’t think that Russia will play a significant role in shaping the 21st century, I agree that the cities of the near future will resemble St. Petersburg. These cities will be “global” cities oriented towards those outside rather than inside them. Peter the Great built his city to force a kind of westernization/globalization upon Russia, which resembles the motives of Dubai today. This fits with globalization in general. The other three cities represent the possible impact that China, India, and the Mid-East will have on the world. While the Mideast cannot equal them in terms of population, they can in terms of opportunity. Much of this region has no access to markets, yet with oil the region has no shortage of cash. The possibilities for future growth for the Mideast remain high. Everyone knows of China’s rise, and India’s surge as the next big economic powerhouse always seems just around the corner. Brook does a good job dealing with the energy and potential in each of these cities. But big questions about the limits of these kinds of cities remain, and while Brook deals with the problems as well as the promise, I would have preferred more treatment of the negative side of the coin. Because of the artificiality of these cities, neither has an authentic culture to call its own. And because each of these cities run only skin-deep, the impact on their surrounding regions may be minimal. Many feel that the more open and cosmopolitan the Mideast becomes, the better off the world will be. But how impressed will the average Arab be with a city bought with Arab money but made by foreigners? How impressed should they be? We have already seen the minimal impact of St. Petersburg on Russia. Three centuries later the country still has strong authoritarian roots. Moscow, not St. Petersburg, moves Russia. Mumbai impresses many at first glance, but tourists then and now use the city as a gateway to the “real” India. At a deeper level the question about whether we can impose our will upon history remains. Personally, I doubt whether we can do this. These cities seem dedicated to the belief that markets will bring fundamental change, but the truly lasting things happen in an organic way with deep roots. Something of our humanity as “made in the image of God” will eventually shine through and prove that we are motivated by more than mere economics, that we are more than merely acquisitive animals. * And when this happens, the impact these cities have and the role they play in their respective countries will get diminished. In raising these questions, Brook calls into question the whole project of the 21st century market state. Will our modern project bring real change or be nothing more than a curious historical side-show? Perhaps A History of Future Cities can give us a clue. *Marxists and pure free market capitalists on the surface are mortal enemies, but if one probes a bit, we see that both share the common trait of giving absolute value to economics — one to the fatalism of class warfare, the other to what some might call the fatalism of the invisible hand of the market. This week we continued building towards our mid-term project by looking at three different paradigms of how security is best achieved. Just as a business wants economic growth for all, so too might a nation want general international growth. The better off other nations are, the better off all of us can be. Stronger nations, for example, might lead to stronger governments, which could in turn lead to less terrorism. Greater economic ties and synergy would profit us, and even greater military power could lead to sharing security burdens. This approach, for example, would see a growing China as an opportunity rather than a threat. The Department of Homeland Security was a disastrous idea, taking tons of resources and using it to ‘build a wall around America.’ He wanted those resources used to further our engagement/aid in the developing world. Let Iran have nukes, because a) We won’t go to war to stop them from getting it, so we might as well give it to them rather than them ‘taking it’ from us, and b) Countries with nukes inevitably have to join a club of nations like the U.S., England, India, France, China. In other words, it would force Iran to be dragged into the “modern world.” The more engagement Iran has with us, the better. With rogue nations like North Korea, the worst thing possible is to impose sanctions and further isolate them. North Korea’s government stays in power, according to this school of thought, only because they can garner up enough “us vs. them” in the country to detract from their woeful performance in other areas. A good punishment for North Korea would be not sanctions, but more aid, an air-drop of computers with internet, cell-phones, or something along those lines (if this is even possible). Obviously there is a lot of difference between the Mercantile and Entrepreneurial schools of thought. But curiously, they both agree on not being big fans of international institutions. For the ‘Mercantilist’ these would diminish national sovereignty and for the ‘Entrepreneur’ they are too slow and inefficient. To understand this attitude we only need to think of business’s aversion to government regulation. In some ways this stakes out middle ground between the previous two models. The strength of some, be it regions or nations, you see as a benefit, as is the weakness of others. Maybe you want to weaken Asia but strengthen the Middle East, for example. What managers love is process and rules, and so the ‘Managers’ stake their claim apart from the other paradigms by liking international institutions, be it the UN or World Bank. They argue that such processes inevitably ‘cool our jets’ and force us to work together. Yes, it is more cumbersome, but we will in the end have more allies that mean more to us through this process. They see themselves as the tortoise, while the ‘Entrepreneurs’ are the hare, with the ‘Mercantilists’ being in their view, an ostrich with its head in the sand. Of course we do not search for magic bullets. Very few of us would want to take either of these views as far as they could possibly go. But we have to plan and prioritize. We should try to aid in establishing an environment where we think the most good can flourish. As St. Augustine once said, “It is mournful work, sustaining relative good in the face of greater evil,” and this is what I want the students to consider. On Thursday we saw’Frontline’ episode on the revolution in Egypt two years ago. The intersection of Islam, democracy, and technology pose difficult questions for the future of our mid-east policy. Will the ‘Arab Spring’ spread democratic ideals or give opportunities for radicals to take control? Is the future likely bright or grim for Egypt? We may not have the luxury of waiting and seeing. We may need to make our best guess and act accordingly. We see some of these tensions embedded right within Egypt’s provisional constitution. They proclaim many things that any “western” nation would agree with, but at the same time seek to have Islam as the foundation of the state (see for example, articles 1 and 6). This raises important questions, not only as to whether or not Islam and democracy can co-exist, but to what degree religion and democracy can co-exist. Could a democracy also be a “Christian State.” I include several of their constitutional articles below if you want to read for yourself and consider the issues. Public property is protected, and its defense and support is a duty incumbent on every citizen, according to the law. Private property is safeguard, and it is not permitted to impose guardianship over it expect through means stated in law and by court ruling. Property cannot be seized expect for the public benefit and in exchange for compensation according to the law, and the right inheritance is guaranteed. Personal freedom is an natural right, safeguarded and inviolable, and except in the case of being caught in the act of violation, it is not permitted for anyone to be detained or searched or to be freedom restricted, or movement prevented, except by a warrant order compelling the necessity of investigation or to safeguard the security of society. This warrant order shall be issued by a specialized judge or the general prosecutor, according to the law. The law also determines the period for which one may be detained. Every citizen who is arrested or detained must be treated in a way that preserves his/her human dignity. It is forbidden to be abused psychically or morally, and forbidden to be detained in places outside of those designated by the prisons law. Any statement proven to be extracted from a citizen under threat will not be counted. Homes are protected and it is not permitted to enter or search them without a warrant according to the law. The life of citizens has special sanctity protected by law, as do messages sent by post, fax, telephone, or other means of communications, where secrecy is guaranteed. It is not permitted to confiscate, read or censor them, except by court ruling and for a limited time, according to the law. The state guarantees the freedom of creed, and practicing religious rites. Freedom of opinion is guaranteed, and every person has the right to express his opinion and publish it spoken, written, photographed, or other form of expression within the law. Personal criticism and constructive criticism are a guarantee for the safety of the national development. Freedom of the press, printing, publication and media are guaranteed, and censorship is forbidden, as are giving ultimatums and stopping or canceling publication from an administrative channel. Exception my be made in the case of emergency or time of war, allowing limited censorship of newspapers, publication and media on matters related to general safety or the purposes of national security, all according to law. It is not permitted for any citizen to be denied residence in a particular area, nor requiring him to reside in a particular place, except in cases designated by law. It is not permitted to expel a citizen from the country or forbid him from returning, or to give up political refugees. Citizens have the right or private assembly in peace without bearing arms or need for prior notice. It is not permitted for security forces to attend these private meetings. Public meetings, processions and gatherings are permitted within confines of the law. Any attack on the personal freedom or sanctity of life of citizens or other rights and general freedom guaranteed by the constitution and law is a crime, which will be followed by a criminal or civil suit according to the statute of limitations. The state guarantees fair compensation for whoever experiences such an aggression. Public taxes will instituted and their amendment or cancellation will take place by law. No one will be excluded from taxation except in cases stated in law. It is not permitted for anyone to charge another pay taxes or fees except within the bounds of law. Personal penalty. There will be no crime or penalty except according to the law. Punishment will not take place except by judicial ruling, nor will punishment occur for acts that take place before enactment of the relevant law. The accused is innocent until proven guilty in a court of law that guarantees for him defense. Every accused in a crime is required to have an attorney to defend him.